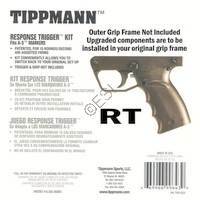 The Tippmann A5 trigger is ok stock, but why stop there. 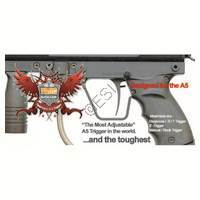 There are a ton of aftermarket triggers you can buy. From single to double, we have everything you need. A double trigger will give you a lot more leverage when you pull the trigger allowing you to fire faster. 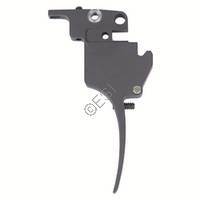 These aftermarket triggers are fairly easy to install for a beginner tech. 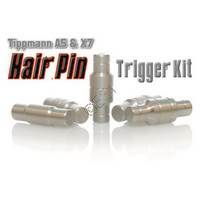 Make your trigger faster and more sensitive. Slick upgraded double trigger. Fang trigger for HE grips. 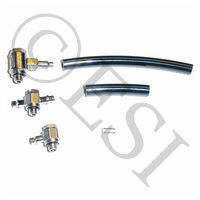 Increases air flow when using both a cyclone feed, and a response trigger. H.E. 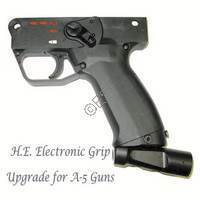 complete e-grip. Add a pneumatic piston behind you trigger that assists you in shooting faster. 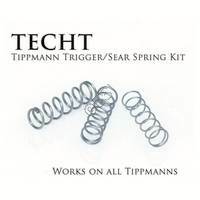 TechT Trigger Springs adjust your trigger to your specifications! This is the 2011 style Lower Grip Complete. 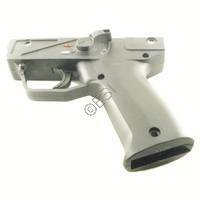 It includes the new selector switch safety and lower receiver halves.